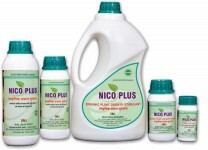 Categories: All Products, Bio-Pesticides, Botanical Neem based Pesticides and Fungicides, Nematicides. Tags: Natural Nematicide, Neemate-10G, Nematicide. is enhanced in this medium. The mode of action is both systemic and contact type. 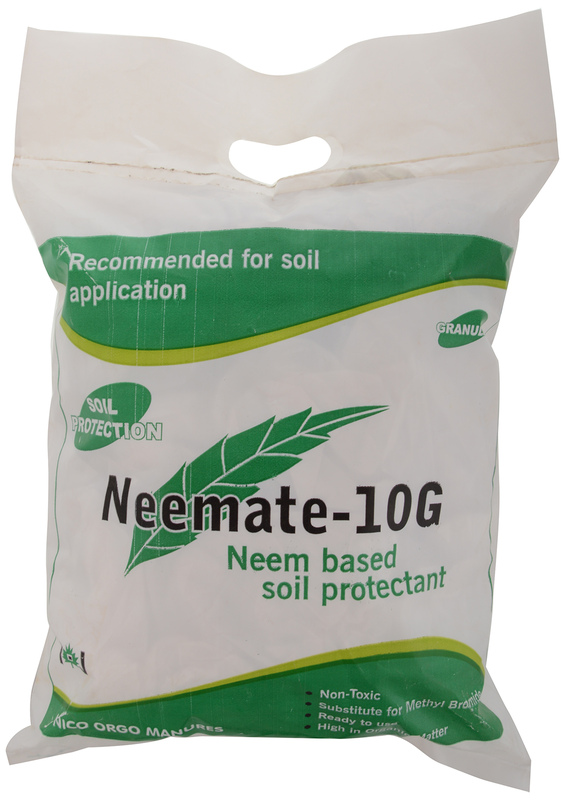 Can be used as a substitute for Methyl Bromide for nematode management. Can be used as a component in Integrated Pest Management (IPM). Safer to handle as particles settle quickly and there is no spraying. Requires simple application equipment, such as seeders or fertilizer spreaders. More persistent than wettable powders (WPs) or emulsifiable concentrates (ECs). Azadirachtin and other Neem based triterpenoids. 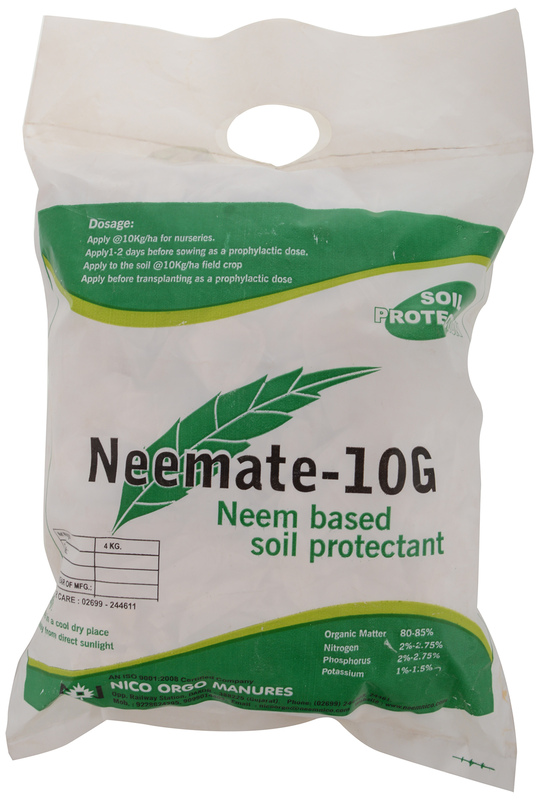 A botanical pesticide, NEEMATE-10G is free from the toxicity of Carbofuran. root-knot nematode in chick pea (3 years mean). * 1 = Free ; 5 = Maximum disease intensity. prophylactic action results in built-in protection of crop for an abundant harvest. Apply @10 kg/ha for nursery pest management. Apply1-2 days before sowing as a prophylactic dose. Apply to the soil @10 kg/ha field crop . Apply before transplanting as a prophylactic dose.